The 2015 Olivier Chesneau Prize has been awarded to Julien Milli for his impressive achievements in the field of high angular resolution and high-contrast imaging of faint discs around bright stars. Established by ESO and the Observatoire de la Côte d’Azur (OCA), the prize is awarded in honour of the late Olivier Chesneau, one of the most active and prolific members of the optical interferometry community. Julien Milli is the first recipient of the prize. The board was particularly impressed by Julien's combination of a deep understanding of different adaptive optics techniques and his ability to use this knowledge to extract the best scientific information from the NACO and SPHERE instruments. His expertise in the study of disc structure is now widely recognised and has been important to the success of the early scientific exploitation of SPHERE. His scientific productivity and broad collaborating base in such a challenging field was also found to be remarkable. Julien Milli completed his PhD thesis at the Joseph Fourier University in Grenoble, France, in September 2014. 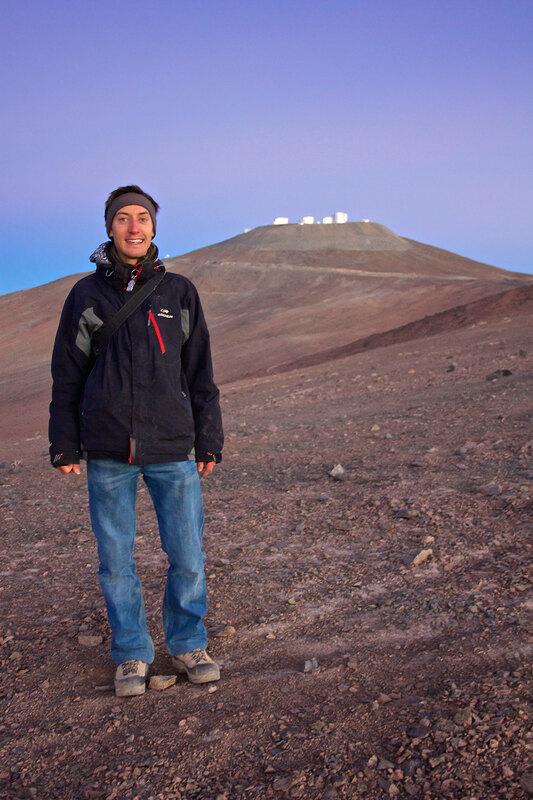 His work on imaging debris discs with NACO and SPHERE on ESO’s Very Large Telescope (VLT) was carried out with an ESO studentship under the direction of D. Mawet (ESO/Caltech, Pasadena, USA) and D. Mouillet (Institut de Planétologie et d'Astrophysique de Grenoble, France). Julien has now taken up a postdoctoral fellowship at ESO, regularly observing with SPHERE to pursue his work on planetary system formation and high-resolution imaging. Olivier Chesneau (1972–2014) was a talented scientist who was animated and passionate about his subject. He led pioneering work using visible and infrared long-baseline interferometry to study disc formation around many astrophysical objects, including evolved massive stars, planetary nebulae and novae. His foremost results include the study of the environments close to Eta Carinae and other massive stars, the first direct detection of discs in planetary nebulae, finding evidence of dust bipolar ejections by novae shortly after eruption, and the discovery of the largest yellow hypergiant star in the Milky Way. His findings were often widely publicised through press releases from ESO and CNRS-INSU. The 2012 Michelson Prize of the International Astronomical Union and of Mount Wilson Institute was awarded to Olivier Chesneau for major contributions in stellar astrophysics made with long-baseline interferometry. The 2015 Olivier Chesneau Prize will be presented to Julien Milli during the international conference, Physics of Evolved Stars, dedicated to the memory of Olivier Chesneau, that will take place on 8–12 June 2015 in Nice, France.